Double entendre is something that has become very Filipino. Sexual references permeate everyday conversation. Colloquials, coinphrases and novelty jingles involving dirty wordplay are so common that even young schoolkids utter these, hopefully, in innocent ignorance. Burikat is the vernacular for prostitute, now also referring to loose women not necessarily into the world’s oldest profession. 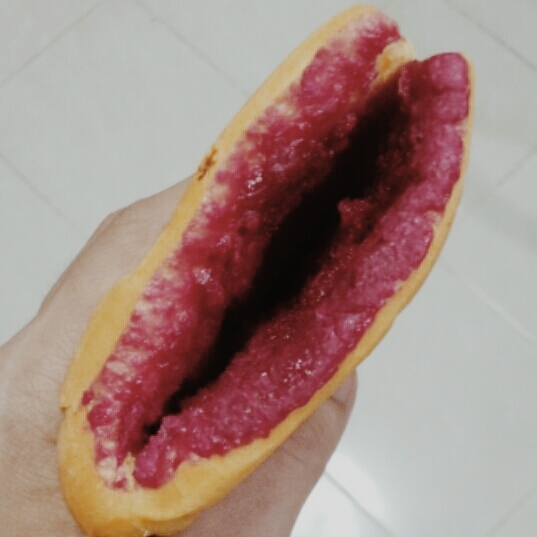 That this soft roll and/or its red-dyed pudding filling is made from days-old bakeshop leftovers, it being “used” and as a reference to the rather, er, sensual color, earned it that name. 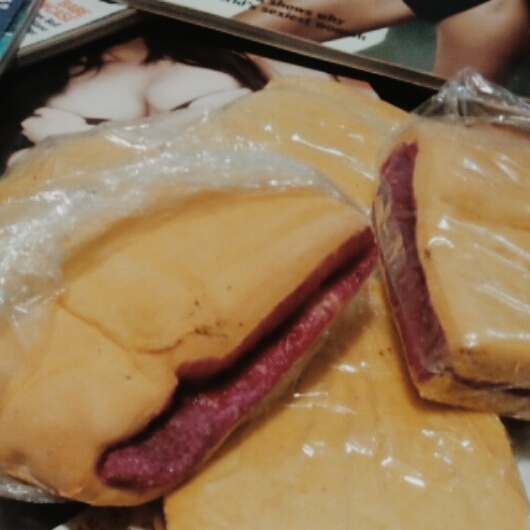 Pan Burikat. Terribly unremarkable in taste with its only defining characteristic being it’s coloring, it brings about a homey feel from nostalgia and a naughty curl to the lips from the reference. Industry geniuses later came up with a variety of color options and appropriate alternative names with the crackdown by the very zealous local anti-indecency groups. Pan Burikat is available at most corner bakery stores all over The Islands. 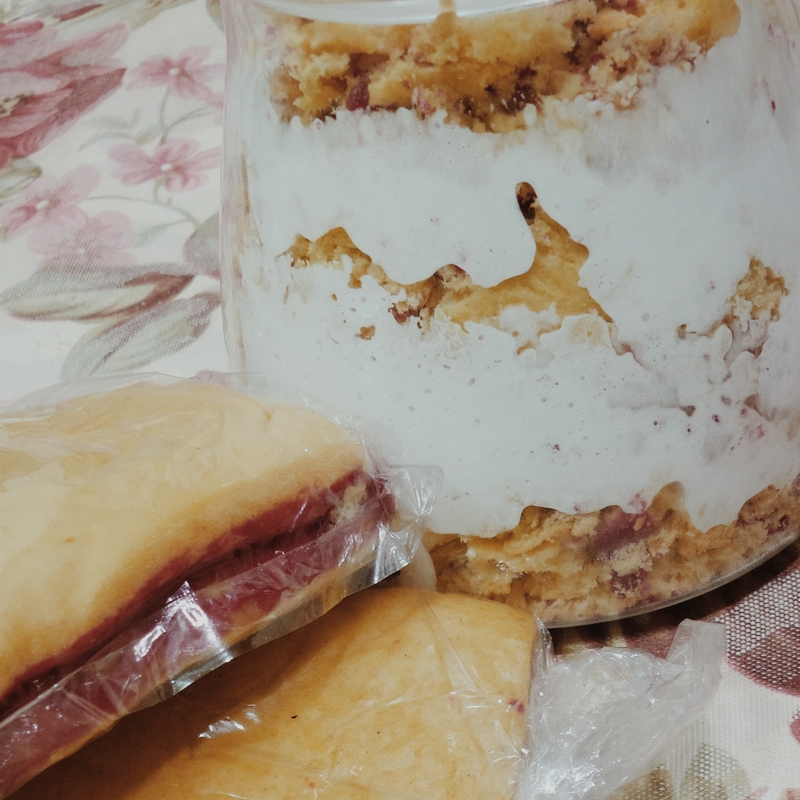 This entry was posted in Uncategorized and tagged bread, burikat, cebu, Food, foodporn cebu, hamburgero, local flavor, pan, pan burikat. Bookmark the permalink.